From an early start – there was something not quite right – the world didn’t work as I was expected to believe it would – little did I know then that my Dyslexic Cognitive profile would lead me through trial, torment and distress, through to success, learning and recognition. School became problematical – tables, spelling and handwriting caused issues, ultimately disruption and truancy stepped into my life. As I grew I developed what I now knows as coping strategies – I was able to progress and develop, challenging the boundaries and perceptions surrounding Dyslexia. I have operated both within the organisation, but also within the local political arena and with the media, including working ‘live’ on the BBC. 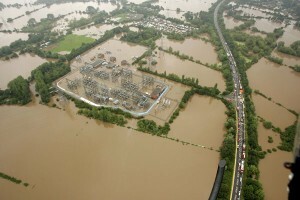 I have been involved in a significant number of serious incidents including being tasked to take command and save the electrical switching station at Walham during the 2007 Gloucester floods, an incident with a national impact and international interest. I know and understand my dyslexia and I am able to relate to my time in school and employment and to show how dyslexia has supported me to reach my goals. I would welcome the opportunity to talk with groups of younger people to show that dyslexia need not be a barrier to you.